May 20th in Wordpress Plugins by Wordpress Jedi . Those of you who have invested in less popular altcoins know that exchanging them to other currencies is not always a smooth a process. Thankfully, there are a bunch of decent cryptocurrency exchange sites that can help you with that. The ShapeShift plugin is also worth a look. 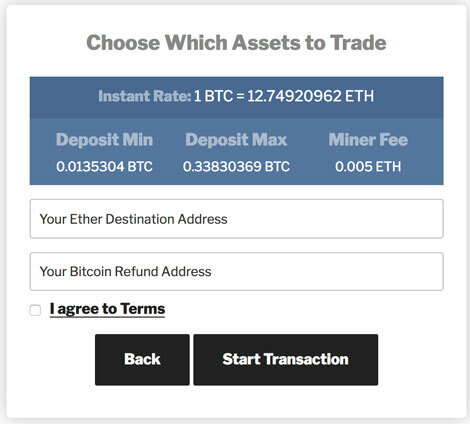 It lets you trade blockchain assets effortlessly. This script is pretty easy to use. You will simply have to bring the address of the wallet you want to transfer coins to, send altcoins to the deposit address provided to you, and the rest is easy. The exchange rate is determined when your deposit is received. You have the option to reuse the deposit addresses provided to you. While you do not get confirmation for small deposits, larger ones will wait for confirmation.